A healthy and balanced diet, that has positive effects on overall health, requires a wide variety of foods which should include fish. In fact, fish is an important part of the Mediterranean diet, which also includes generous servings of vegetables, fruit, cereals such as rice and cereal-derived products, nuts, legumes, dairy and olive oil. Fish contain nutritional properties which make them a staple food when part of balanced and heart-healthy diet. They do not only contain high-quality protein, they also have a healthier lipid profile in comparison to other protein-rich food such as meat. Also, fish consumption, especially of oily fish, can improve symptoms of some diseases and help prevent others, such as cardiovascular diseases. Fish is suitable for healthy and ill people due to the nutritional properties which benefit health. Therefore, when consumed in a healthy and balanced diet, fish can prevent the appearance of certain ailments. The countless types of fish, the numerous ways of cooking and the nutritional characteristics make fish a staple food recommended for all ages and physiological stages (childhood, adolescence, pregnancy, lactation, adulthood and old age). However, a good diet alternates fish intake with the consumption of other protein foods from vegetables or animals. 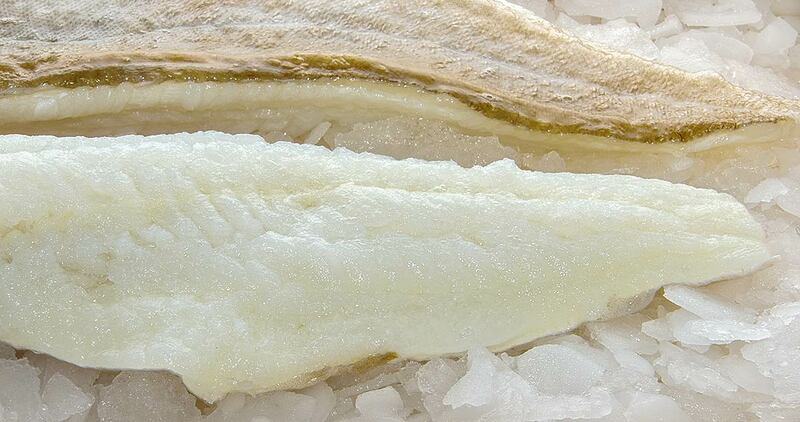 Seasonal cod is fished from the end of autumn until spring, although it is available all year round, either salted, dried, smoked or frozen. It is a white fish and therefore has no fat content. Its meat is rich in high biological value proteins and it also has a wide variety of vitamins and minerals. The most outstanding vitamins are from the B group, mainly B1, B2, B6 and B9. White angler or common angler can be found throughout the European coast and also on the coasts of North America. It lives at the bottom of the ocean and it drags itself along using its pectoral fin is in order to find food. The most commonly known angler species are the common angler and red angler, as well as a type of angler known as an American angler. © 2019 Oisi - The best of the sea . Cephalopods, Seafood y Fish.